WAIT, WHATIs Hailee Steinfeld Writing an Album About Her Ex Boyfriends? Could Hailee Steinfeld be taking a page out of Taylor Swift’s book, when it comes to writing songs about ex-boyfriends? Looks like it’s a yes! 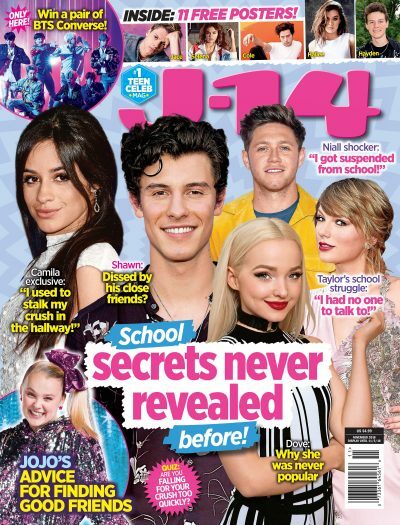 The actress who is a member of the “Shake It Off,” singer’s squad, revealed in a new interview that a lot of music that is going into her first ever album has to do with heartache. The shocking part of it all? It’s not just her own failed relationships she’s going to be writing and singing about. “Bad boyfriends make for great songs. Luckily, I’ve never really had a bad boyfriend, but I have watched friends go through it all,” the actress said. Hailee didn’t clarify if any those friends she saw go through bad relationships were any of her famous friends, such as Zendaya, Selena Gomez, or Kylie Jenner. Though we’re certain it’ll be easy for fans to figure out once a few more singles from her album drop. Are you guys surprised Hailee is using other’s relationship issues as inspiration for her new album? Sound off in the comments section below.